Not sure what to pick? Need help customize a desired Package? 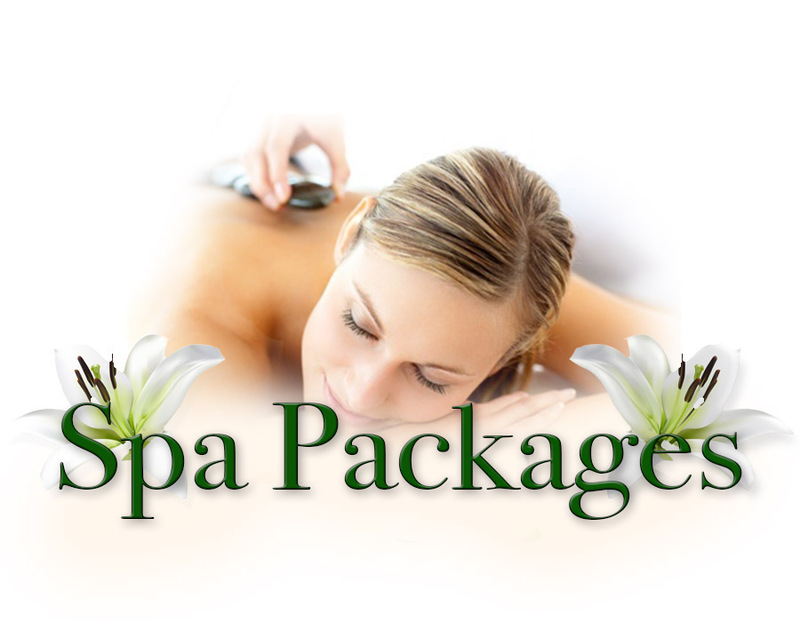 Talk to our Spa Manager at 304-535-1110. 50% deposit is required at booking. NO gratuity added in these packages yet. Thank you for your generosity! 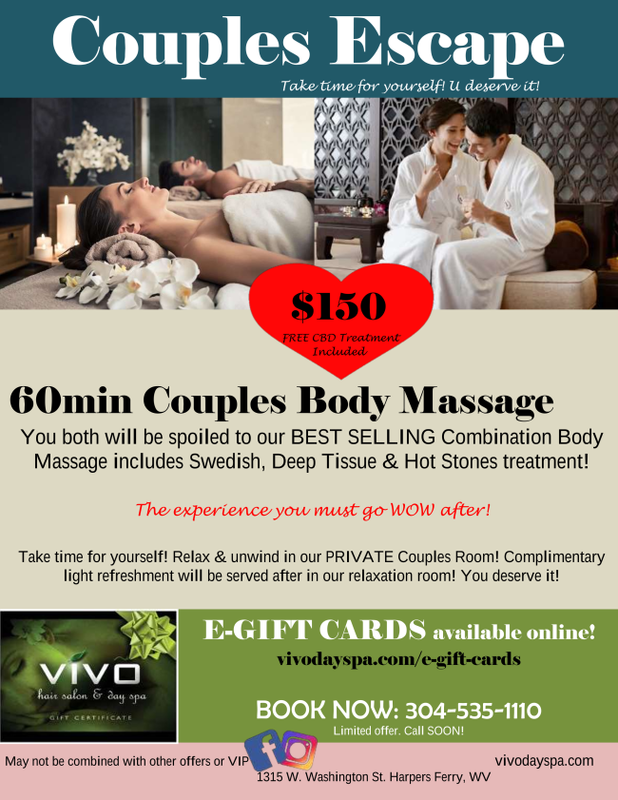 VIVO SIGNATURE SPA DAY (4hrs) 240 Indulge in treatments designed to ease your stress, rejuvenate your skin, relax your mind & body. Begin with a 45min Body Scrub & Honey Milk Wrap, a wonderful 60min Combination Body Massage, followed by a 45min Custom Facial with Eye Lift & Lip Plump Treatment, amazing Shampoo-Condition-Scalp massage. Culminate your experience with a 15min Hot Stone Foot Massage while local lunch & refreshment delivered right to you!